I have exciting news to announce today! 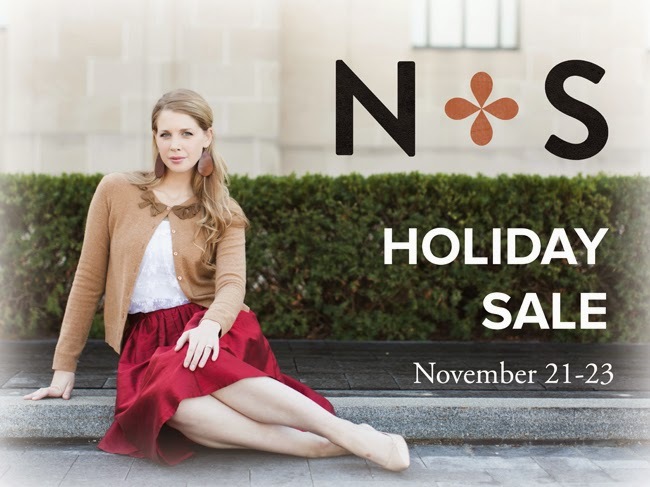 Nickel & Suede will be having its big Holiday Sale THIS weekend! Starting tomorrow, November 21, and running through Sunday, November 23, all of the items on our site will be on sale! We will not be offering Black Friday sales- this is our Not-Black-Friday-Sale. We want to spend next weekend with our families and to give you the chance to purchase (and receive) your Nickel & Suede packages with plenty of time to spare before Christmas. This will be our only big sale this season- no Black Friday sales- this is it! We are so thankful for so many of you that have already shared Nickel & Suede with your family and friends. You are the reason that we have orders to fill and we can't wait for you to be able to gift our earrings this Chistmas. I know that is what everyone on my list is gettin'. ;) So get your list ready and your cart full because tomorrow is the day!